There’s an unspoken truism most of us adults have internalized that goes something like this: “If only I were more organized with my time, more focused on my goals, and more disciplined with my tasks, I’d finally achieve X.” Around New Year’s each year, this guilt-infused mantra is the fuel for many a well-intentioned resolution involving elaborate new systems of organization and task management. In Messy: The Power of Disorder to Transform Our Lives, Tim Harford turns this assumption on its head. In his book, Hartford probes people, organizations and events which demonstrate how embracing disorder, uncertainty, and messiness can be the catalyst for amazing achievements and unforeseen breakthroughs. Although geared toward leaders, innovators, and thinkers in the world-at-large, I found the book full of insights for parents, teachers and edupreneurs as we guide and nurture our students. Here I choose 3 binary tensions highlighted by Harford and connect them directly to issues relevant to our interactions with learners. We often assume great successes are the result of sustained, laser-like focus on a problem. As Harford points out, however, “distractible brains can also be seen as brains that have an innate tendency to make … useful random leaps” (p 17) which lead to creative or innovative breakthroughs. And there is research to back up a correlation between distractibility and higher creativity. Harford cites a Harvard study in which researchers measured the ability of students to filter out unwanted stimulus. The weak filter students scored higher on all kinds of creative measures (p 17). 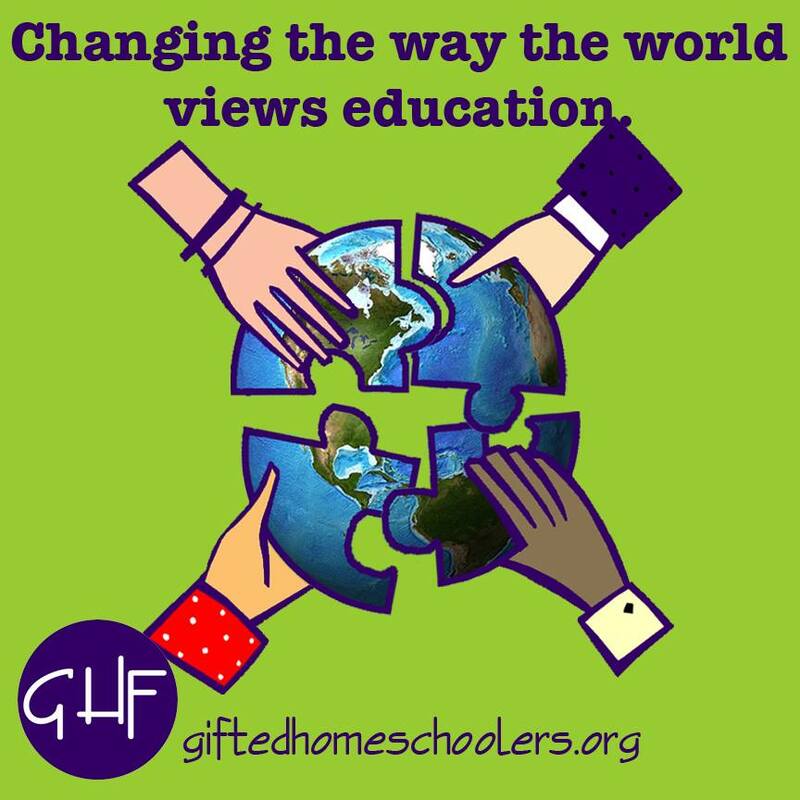 What we infer from this study reaffirms my own observations regarding the “6 Gifted Profiles,” as delineated by George Betts and Maureen Niehart (1988). “Type 2” profile students, The Creatives, are often perceived as uncouth, distracted, and associative thinkers with a lower threshold for sustained focus. Could it be they are simply selective consumers, choosing to follow the trail of deep, non-obvious connections being triggered by their learning environment? A Creative’s penchant to process the world holistically makes her more distractible, but indeed makes her predisposed to draw fantastic insights from apparently disparate information. Teachers: have you ever felt you’ve been suckered into a tangent by a Creative student making an elaborate observation, only to find that somehow, it winds right back to the topic, which is now afforded a new level of depth and complexity? When a group or team needs to accomplish a major task, it makes sense for them to bunker down, remove all infringements of the outside world, and one-pointedly push through, right? Maybe not. Harford highlights the distinction between “bonding social capital” and “bridging social capital.” On a team wired for bonding social capital, you seek to “Minimize disruptions, distractions, obstacles; identify what you have to do; focus your energies on doing it as effectively as possible” (p 39). So what could be missing? As it turns out, the sparks of inspiration that can come from interactions across groups and teams–known as bridging social capital–may be what allow the team to make the leap from good to great. Harford cites examples in the world of collaborative mathematicians and in the video game industry, where “a great computer game is like a great mathematics paper. It requires bridging: the clever combination of disparate ideas” (p 41). The benefits of sparking exchanges outside of a student’s usual, closed, tight-knit group is one reason why my company, NuMinds Enrichment, designs all our programs as mixed-age learning experiences. I still remember our first summer camp several years ago when I walked into a classroom to find a 1st grader and 8th grader co-presenting on a project. Think the benefits go only one way? Think again. We find the older students are just as likely to benefit from the sparks generated by the “disparate ideas,” genuine curiosity, and the beginner’s mind exhibited by younger students. When you need a project management certification to keep a grip on a child’s weekly schedule, you know we live in an an era of hyper-managed and overscheduled students. Parents feel compelled to leave nothing to chance, and this desire to control outcomes has crept into the classroom in the form of perfectionism and anxiety. What if, by not occasionally relinquishing control, we are missing out on surprising creative results and rich, unforeseen experiences? Harford cites numerous extraordinary examples of history-making moments that were the result of moments of improvisation, from MLK’s “I Have a Dream” speech to the ground-breaking “Kind of Blue” album by Miles Davis. But examples need not be extraordinary to be revealing. That very first week of NuMinds summer camp, we had planned an elaborate, musical, technology-infused series of morning assemblies. It was part of our morning “shock and awe” plan to get campers excited for a day of passion-based learning (it’s summer, after all, and they often need a little help). We rolled into the venue the weekend before to get set up, and, major obstacles: no projector, malfunctioning microphone system, and no way to send music through the speakers. Plan B. Wait, there was no plan B! This situation forced us into an improvisational state of mind and, lo and behold, being forced to go low tech and intimate with our morning assemblies ended up defining the spirit of Camp Pursuit. Sure, we’ve got mics and flashy visuals now, but to this day, the “fireside chats,” puppet shows, and acoustic sing-alongs we developed that first week–because a messy situation forced our hand–are integral pieces of the Camp Pursuit experience. In other words, when compared to meticulous and calculated planning, embracing or even seeking a little messiness will not only drive improvisation but can take less time, cost less, and by its very nature will be more responsive to uncertainties. But, let’s face it: millions of students in the U.S. and around the world, including refugees whose lives have been torn asunder by world conflicts, don’t have the luxury of worrying about over-planned and scripted lives. For them, improvisation isn’t an experiment, it’s survival. Perhaps there is much we can learn from their resilience about coping with a disordered world. It’s hard to imagine a “messier” situation than poverty, but we can take heart that even in circumstances like this, curiosity, persistence and incredible improvisation can propel education. If we can appreciate and learn from this Indian school under a freeway, perhaps we can all find ways to improvise heartfelt teaching and learning, even when the promise and principle of our public education system seems under assault. Not to excuse that students or teachers or our very own public schools should ever be asked to perform miracles with lack of resources, funding, and support, but the innovative resilience we develop while continuing the fight for fairness, justice, and equity will only increase our effectiveness as we move closer to those ideals. Harford highlights many more tensions we can utilize to explore our notions of learning and productivity, including groupthink vs. cognitive diversity, hard vs. soft spaces, the paradox of automation, “neats vs. scruffs,” and organized play vs. informal play. In an era of uncertainty and flux, if we can reconsider our ingrained assumptions and attachments to order, structure and predictability, we may find “messiness” a valuable impulse. Harford, Tim. Messy: the power of disorder to transform our lives. New York: Riverhead , 2016. Print.